There is nothing more exciting than watching your preschooler’s eyes light up with amazement. 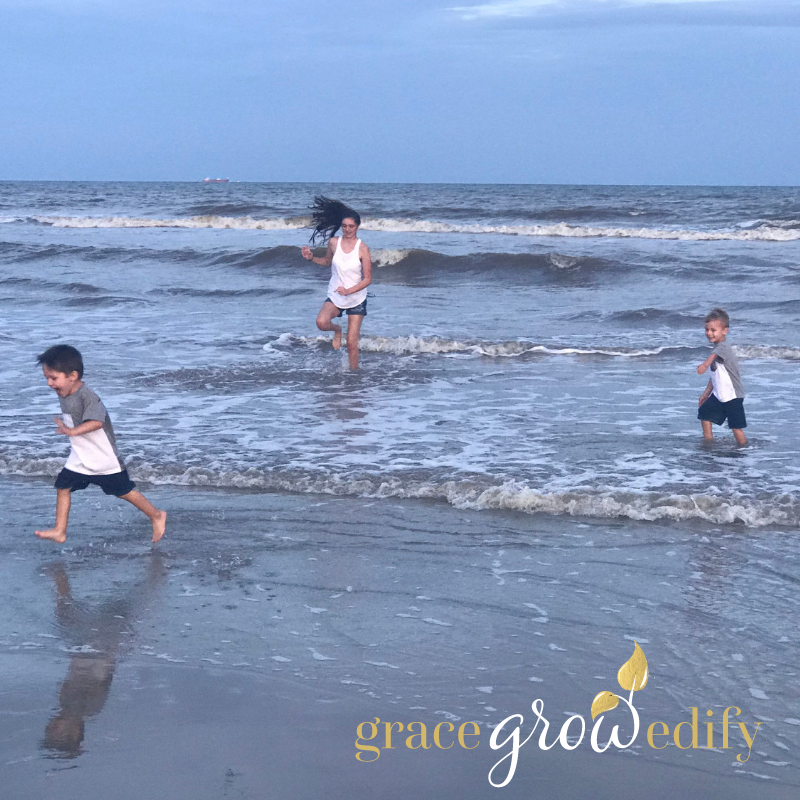 The first time I took my preschool age boys to the beach, it was just as much fun for me to watch their reactions as it was for them to feel the sand underneath their tiny toes. My husband and I could sit there for hours watching our children play on the beach, catching hermit crabs and testing the waters for the first time. If only I could capture those moments in a bottle to open them up and relive them anytime I wanted. Most families cherish the firsts of everything their children get to experience. It is new and exciting for our children, and we take great pleasure in watching their little faces and emotions. But unfortunately, we can not bottle up those moments and have them ready to reopen anytime. The good news is that we can continue to watch their faces light up with joy when they learn about new things. Especially new finds in nature. I am a book hoarder…ahem; I mean book lover at heart. Books have been part of who I am from a young age. When I became a mother, I knew that I wanted to instill a natural love of reading and books in my children. The way I have successfully done that with my oldest is through reading to her at an early age. My oldest is a complete bookworm, and I am the proud mother of that sweet teen bookworm too! 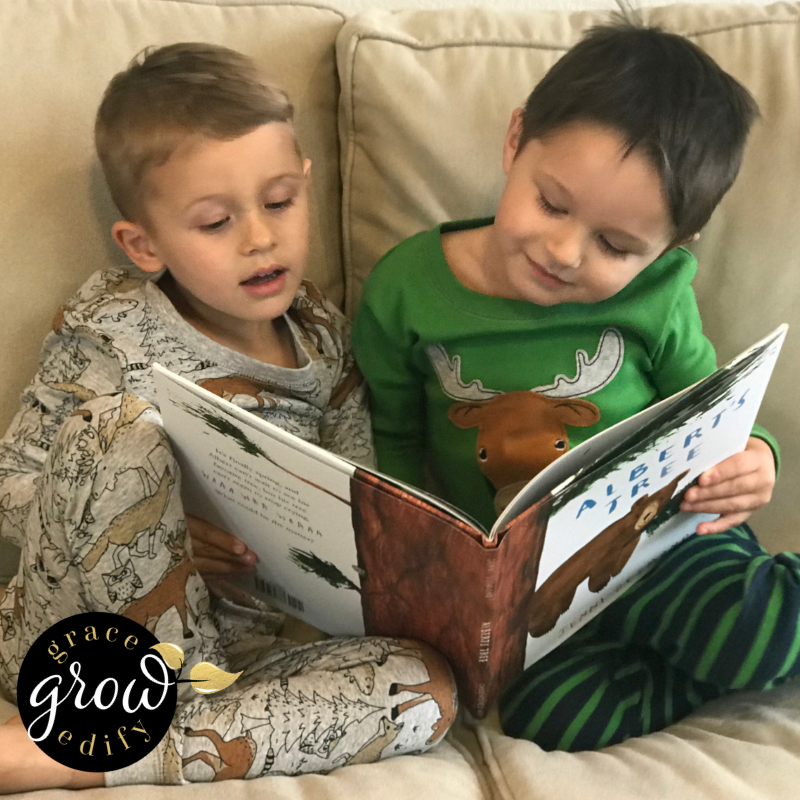 Years later I now have two preschool-aged boys, and I want to continue the heritage of our book-loving family. Preschoolers are naturally interested in nature and the world around them. So choosing books that will appeal to them and spur a bit of curiosity is the key to cultivating mini book lovers. 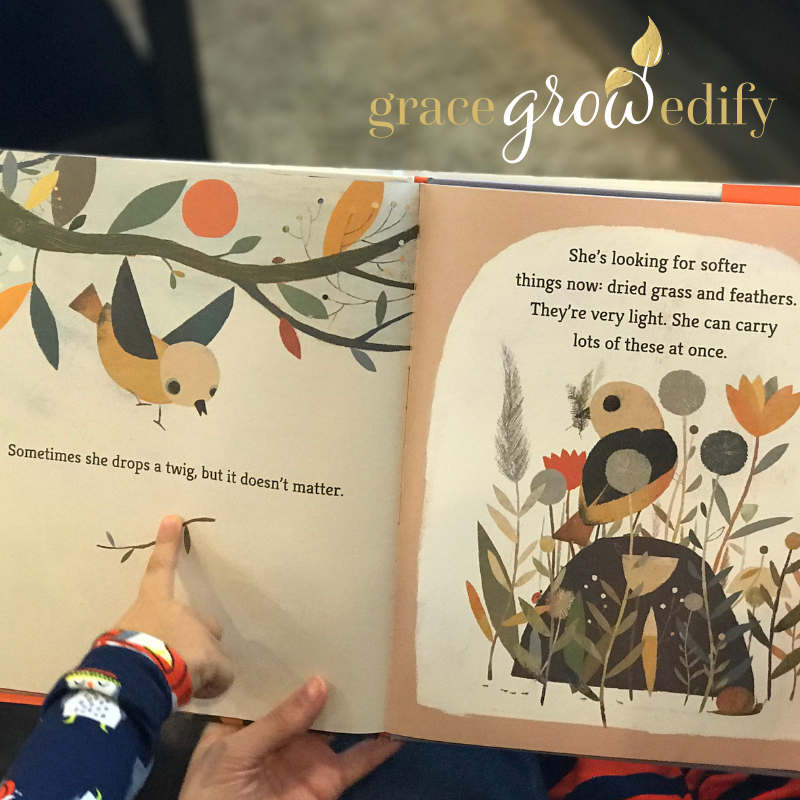 I recently came upon Candlewick Press books, and I was blown away by the quality and unique content in these lovely children’s books. I received the Candlewick Press books mentioned in this post and compensation for my time in writing this review. However, my opinions are my own and unbiased. For more information, please see my full Disclosure Policy. Candlewick Press books have been excellent for introducing nature and opening up an ongoing dialogue about nature. We can’t whisk away to show our children all the wonders of the world first hand. And honestly, I try to limit our time on television or media devices as much as I can at this age. So the best option for us as a family is reading and looking at pictures. We enjoy using Candlewick Press books with various themes each week. Candlewick Press books make wonderful resources for learning with themes. Of course, after the beach trip over the summer, my kids wanted to know more. 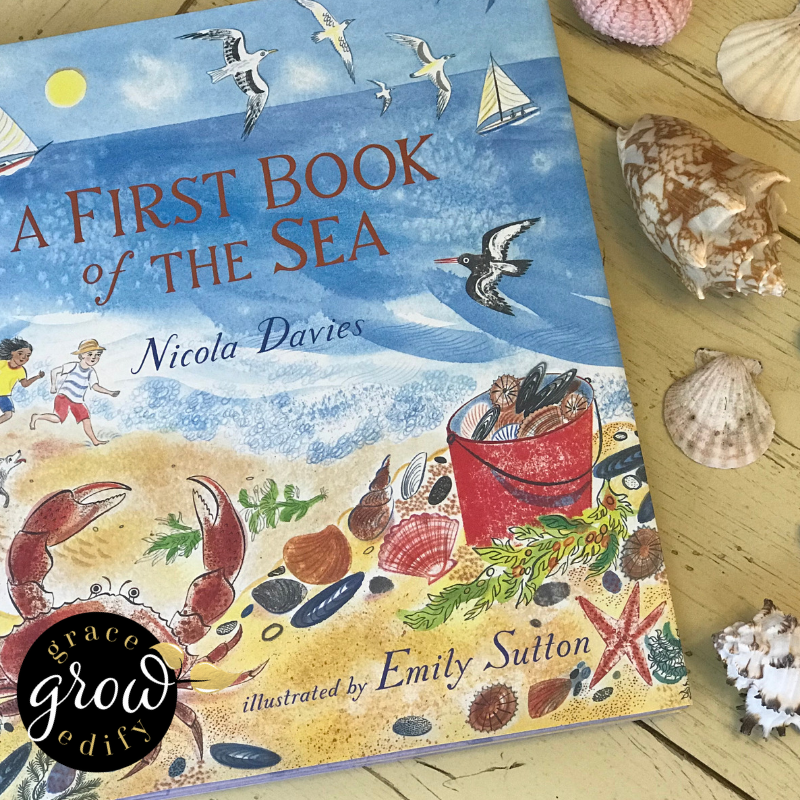 A First Book of the Sea was a perfect for diving into all sorts of sea creatures and beach life. (Diving, you see what I did there? I couldn’t help it.) Some of the pages in A First Book of the Sea ask questions and make the reading experience seem interactive. Other parts of the book have a musical feeling to the poetry as you read aloud, and my children adored it. A First Book of the Sea has an incredible amount of information in it about the sea life; I was impressed. And as with all of the Candlewick Press books, the illustrations of A First Book of the Sea contains beautiful works of art. Created much the same is Outside Your Window, A First Book of Nature. It is superb for covering nature in general. Beautiful poems, illustrations, and educational information. You will find introductions to so many animals, seasons, and even suggested activities to enjoy. 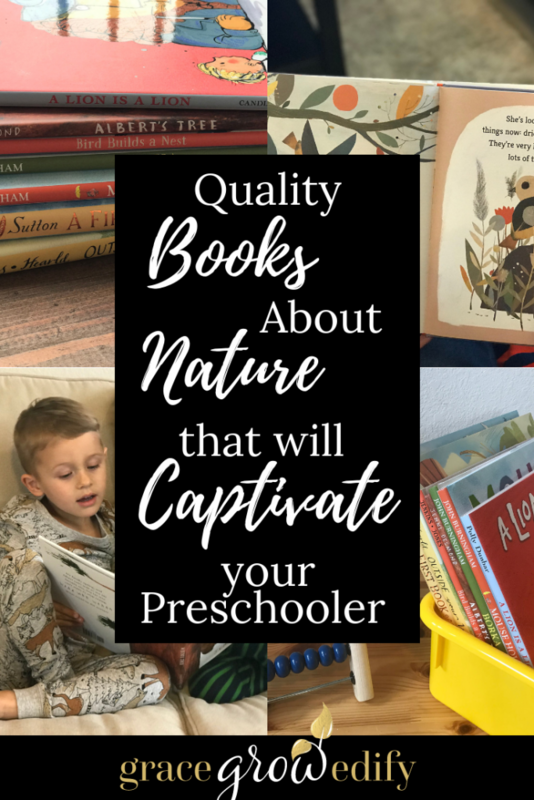 A First Book of the Sea and A First Book of Nature are true investments for your family library. Because you will be able to revisit these books, again and again, they are chock full of reliable educational information. We used Mouse House, Borka, Albert’s Tree, and A Lion Is A Lion for learning more about animals. Again, these were perfect to introduce animals we hadn’t investigated at length yet or learn more about some that we had. My boys were obsessed with reading A Lion Is A Lion over and over. Yes, I might have done exceedingly well with my read a loud voice to encourage this. But it was such a fun book. Borka surprised me, or I should say my children’s reaction to Borka. Borka is a goose born without feathers. I witnessed my children display compassion for Borka and her differences from the other geese. It was sweet and made me fall more in love with Candlewick Press books. They seem to have a level of depth to them that I haven’t seen from other mainstream children’s picture books. 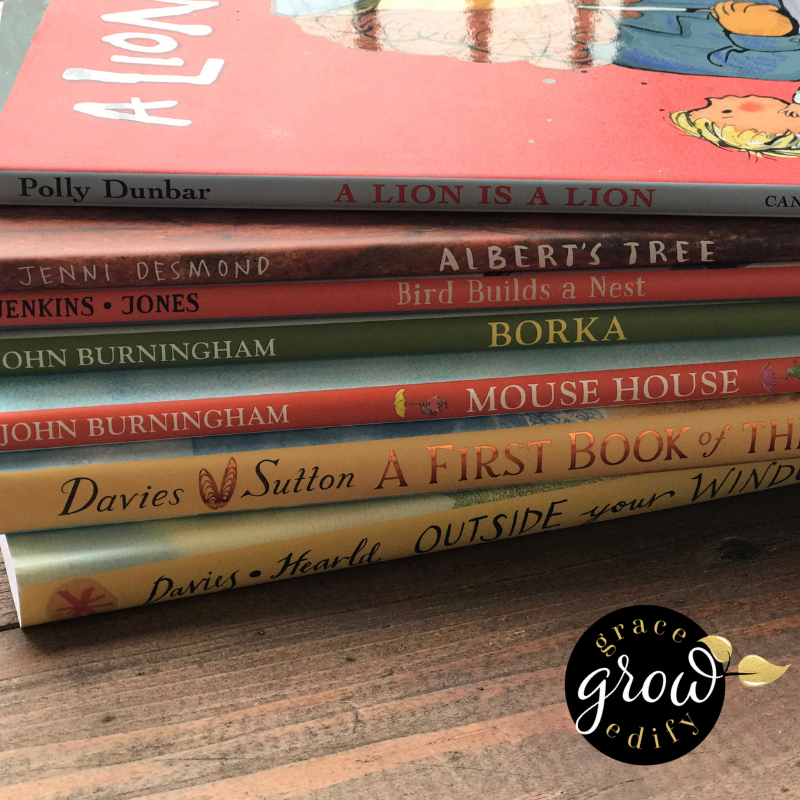 A Mouse House, Borka, Albert’s Tree, and A Lion Is A Lion are quality books that we will be able to come back to over the next few years as we cover more about animals. Zoo animals, woodland animals, and birds are other themes that these books will fit well with for extending your lessons. Lastly, we are thoroughly enjoying Bird Builds a Nest. We recently experienced a bird building a nest in an overhang of one of our outdoor balconies. This book intrigued my children as they got a better understanding of the nest building process. 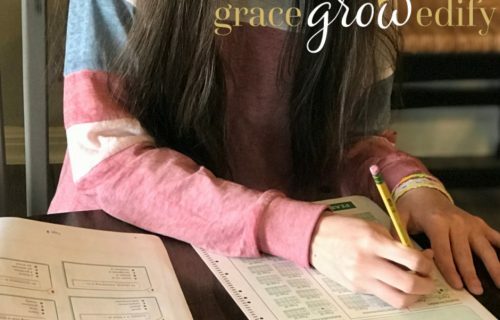 Sure we could have watched a YouTube video, but I think there is something so much more valuable in the bonding between parent and child when you read together. And Learn together. Bird Builds a Nest also surprised me because as you are learning about the nest building process of the bird, there is another lesson emerging. A lesson in motion and force. Learning about pushing versus pulling is perfect for this age range. I loved how there was so much valuable information tucked inside this one book. Bird Builds a Nest did a great job of illustrating and talking up the meaning of the motion and forces. It also seamlessly weaved in the definition of dropping, force, gravity, heavy, and light. Then at the end of the book, it gives you a list of questions for your children to answer. I felt like this was such a simple way to introduce an entire lesson to my children with only one book. I loved it, no prep; just reading. I want to encourage you to choose books that may seem a bit advanced or challenging for your curious preschoolers. You will be amazed at what they pick up. And you will also add books to your home collection worth revisiting over and over. Carefully strew books about your home by theme, season, or interest. Choose books that include creative graphics to catch their little eye’s attention. Reading with variant tones or voices when you read aloud to them. Create magical moments when reading together; such as blanket forts or hot chocolate and marshmallows. A simple addition to your reading time can pique their interest and encourage enthusiasm. Be ready to drop what you are doing and read. I know, this one can seem challenging. As a work from home mom I understand that dropping things at a moments notice can be hard, but to keep your early learners eager to read it’s often necessary. 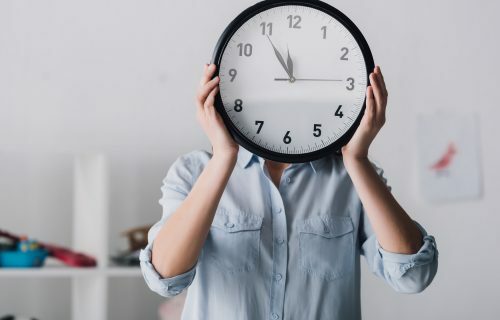 As they get older, they will gain more patience, but at a young age when children don’t fully understand how to wait patiently it helps to read when they suggest it. The illustrations are not only beautiful for parents to gaze upon but mesmerizing for children. I love the graphics in Candlewick Press books because they aren’t your typical cartoony type pictures. The graphics from Candlewick Press books are thought-provoking and captivating. Candlewick Press books have a unique illustration style that is second to none. You will have no problem keeping your children interested as they look upon these charming books. Candlewick Press books are unique. The storylines will have your children asking all the right questions. 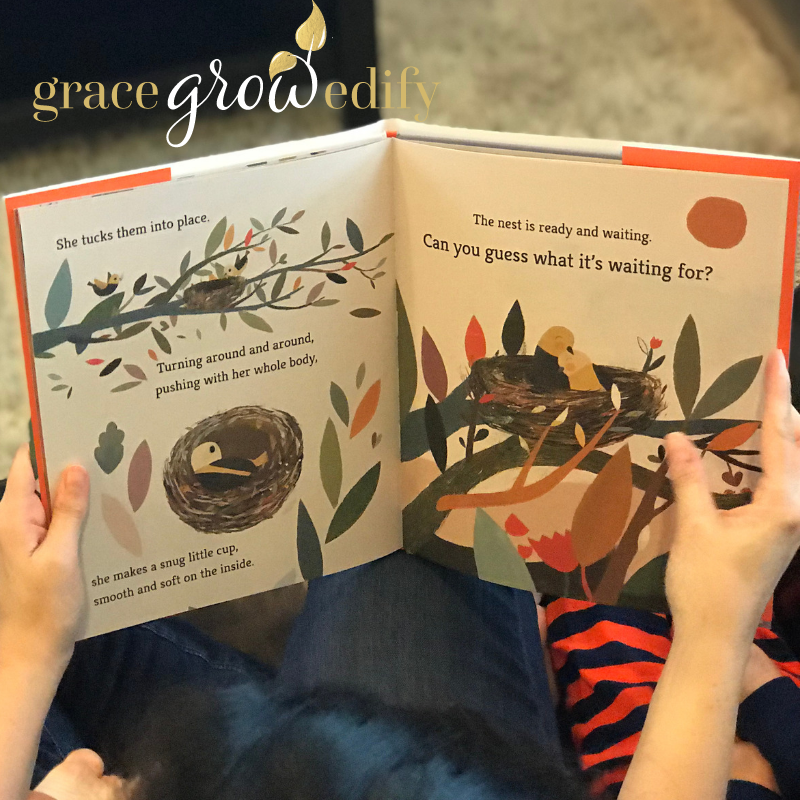 It is a gratifying feeling as a parent to read a book to your children, and you can see them following along and inquisitively asking great questions about the topics covered. My preschoolers have had the chance to ask me so many fantastic questions about nature and life. All from reading good quality books from Candlewick Press. Speaking of quality; Candlewick Press produces high-quality books you can feel good about purchasing. Great binding & thick pages make the small investment well worth it. They are also durable and can withstand most preschool antics. I did say most, wink. Candlewick Press Books are the perfect additions to your home library and eventually pass down to your grandchildren someday. Candlewick Press books would make beautiful holiday and birthday gifts for your children. Luckily Candlewick Press has a wide variety of books for all ages, all genres, and everything in between! 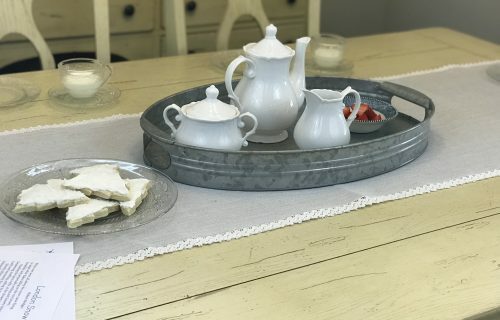 Take a peek at the latest catalog here. Use the coupon code CANDLEWICK at checkout to get a whopping %25 OFF! 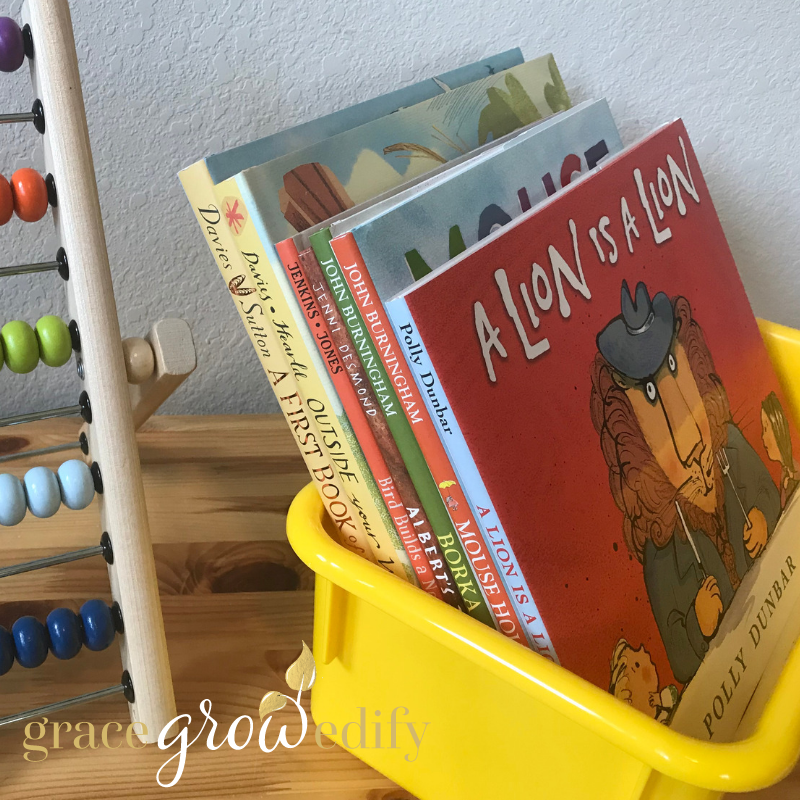 I hope this has sparked some ideas for you to use Candlewick Press books at home with your preschooler. Introducing nature with books is not only engaging for your preschooler but reading together will strengthen the bond between parent and child. Click the Image to Pin or Share It!